[This is part of my ARCHWAY-101 series.] The moldings I used to make these pilasters you should be able to find at a local lumber yard that has a good molding & millwork department, or at a specialty molding retailer…. 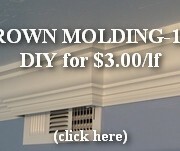 [This is part of my The Joy of Craftsman Moldings series.] Posts in This Series 1. Craftsman Style Moldings at Bev’s House in Waterford, Michigan 2. 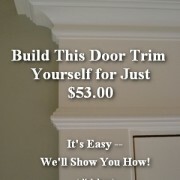 Make WINDOW TRIM-101 for About $29.00 3. How to Make BASEBOARD-101 for $1.23/lf 4…. Greek Revival/Traditional, 1882 This is the city of Birmingham, Michigan’s oldest surviving home. It is located in the Birmingham Historical Museum and Park. Hours Wed – Sat 1 – 4 PM Location Maple Rd and Southfield Rd. Architectural Detail & Yoga. What’s the Connection?